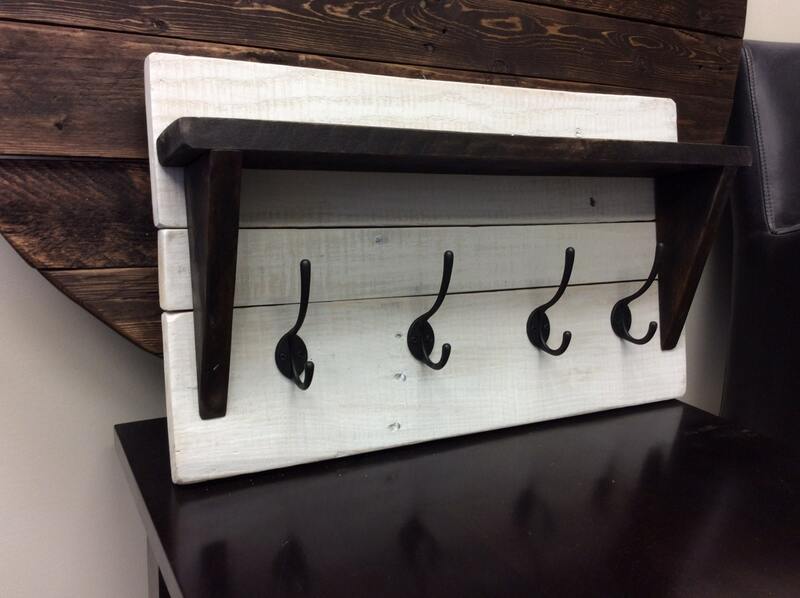 Solid reclaimed wood coat or hat rack with a convenient shelf for keys or gloves. 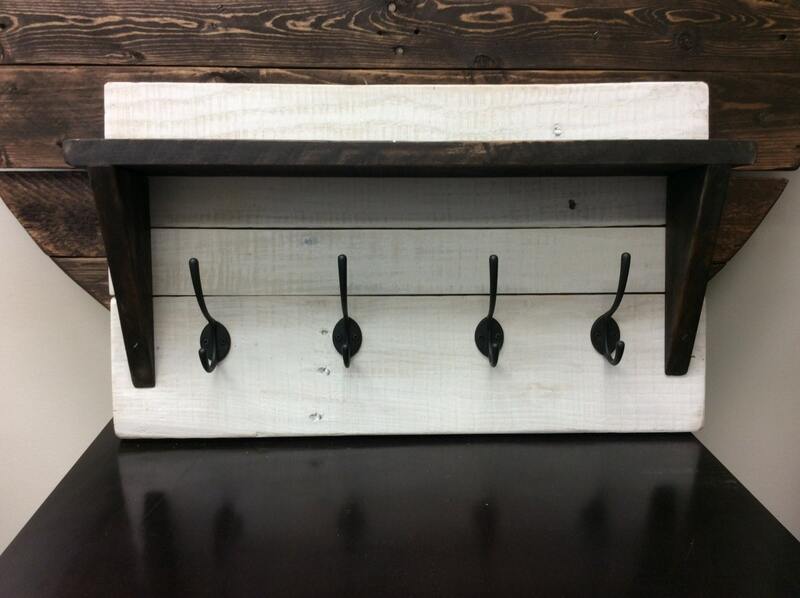 The wood back can be custom built as to size and color and the number and color of hooks can also be custom designed. 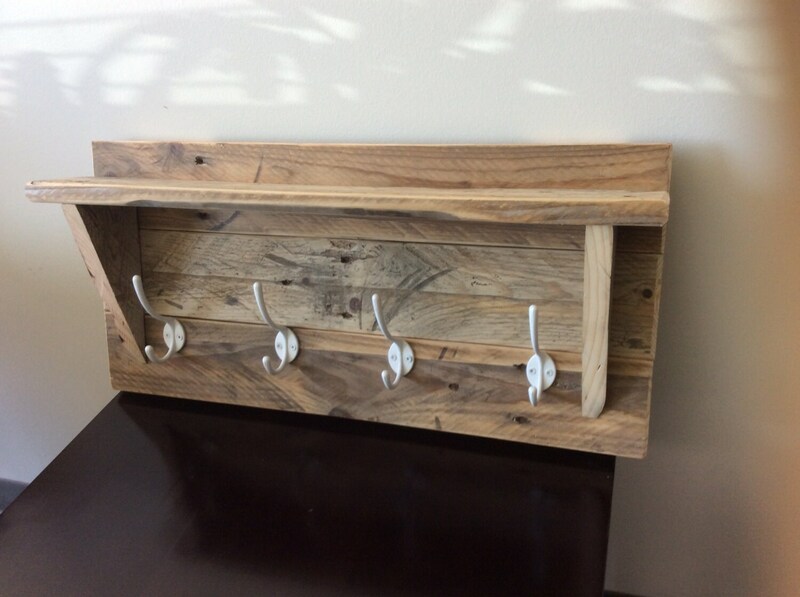 These shelves are functional as well as add charm and character to your entranceway, hallway, laundry room or boot room.